SDA’s medical facilities design work includes multiple projects at Webster Place Recovery Center and Easter Seals Farnum Center in Franklin, NH; the Alpine Clinic in Franconia, NH; renovations to the Belknap County Nursing Home in Laconia, NH; a clinic for Darmouth-Hitchcock in Hooksett, NH; Lakes Region Mental Health Care in Laconia, NH; LRGHealthcare Interlakes Family Medical Center in Meredith, NH; and a pharmacy and walk-in clinic for Speare Memorial Hospital in Plymouth, NH. Click on photo above to see slideshow gallery. 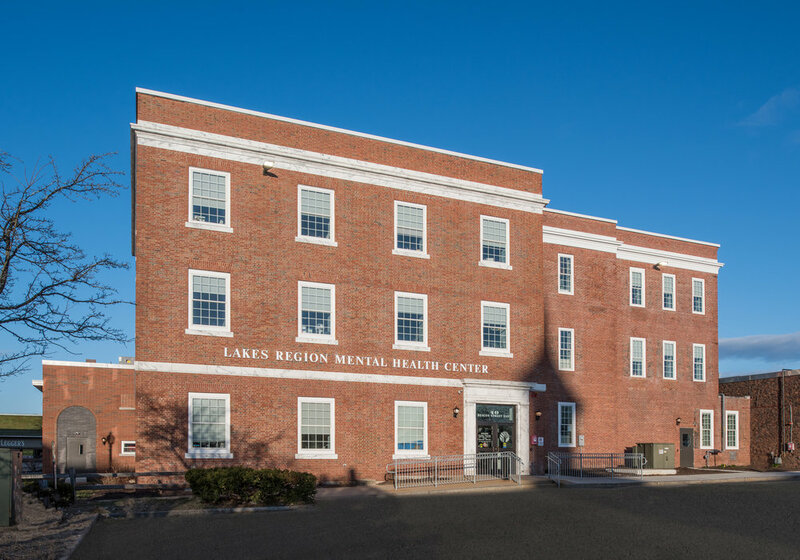 Lakes Region Mental Health Center (LRMHC) wished to consolidate the work accomplished in 4 locations in Laconia into a single facility, the location of which was key to supporting their core goal of serving patients where they live and increasing access to mental health services. 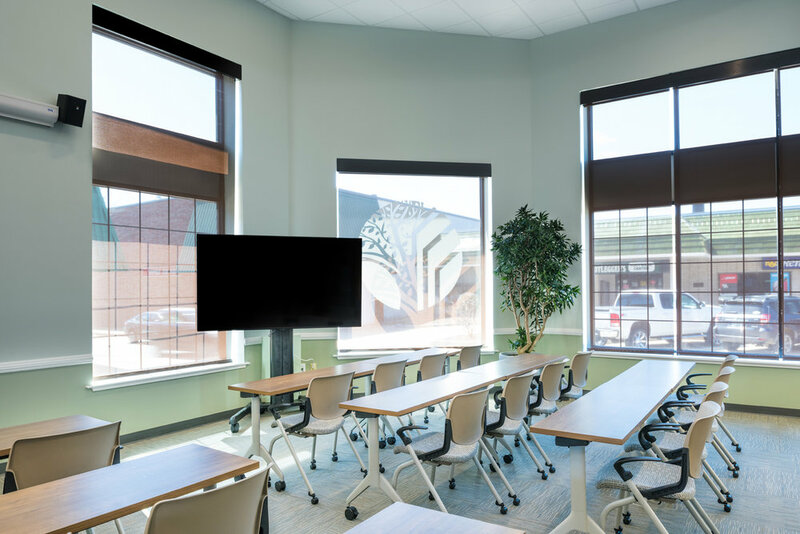 After seriously pursuing 2 different locations complete with feasibility studies and programming work, this historic, downtown location became available and the organization jumped at the opportunity. In order to meet LRMHC’s programming and sustainability goals, the 27,955 SF building was gutted back to the original load-bearing brick walls, well insulated and fully engineered with a new energy-efficient HVAC system, gas fire roof top air handlers, ducted heat and A/C, Energy Star hot water heaters, 104 insulated window units, sprinklers throughout, and new electrical and data systems. To restore and update the historic building, a new roof was installed and the marble was cleaned. Amelia Martin Brock, AIA took on the challenging task of working with the client and programming groups (adult services, child and family services, administration, sub-leased pharmacy, PCP doctor) to develop a plan for the 16,615 SF of programmable space, visualizing how different groups would work together and where each should be located in the new Center to facilitate a smooth and efficient work environment. (Please see the programming bubble diagram on the following page.) It was extremely important to the client that all programming goals be met while keeping the adult services, child and family services and administration as completely separate as possible. This was achieved largely by taking advantage of the buildings three floors, with administration (aside from check-in services) located on the top floor, child and family services on the second floor, and adult services (the bulk of LRMHC’s clients) on the main level. 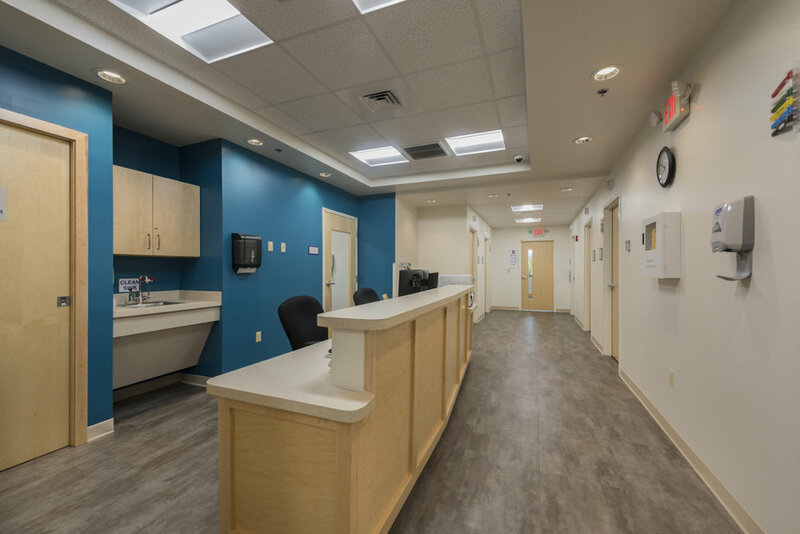 Other programming challenges included: Protecting patient privacy, ensuring staff safety, designing secure entries, and providing good visual coverage for all areas open to the public. The new, centralized facility houses adult services, child and family services, community outpatient service staff and provides spaces for psychiatry, nursing, community support programs, care management, community-based supports, wellness programs, substance use disorder treatment, a pharmacy, and primary care doctor. The Center features a large conference room with a new, air-sealed store front glass wall system facing Main Street. 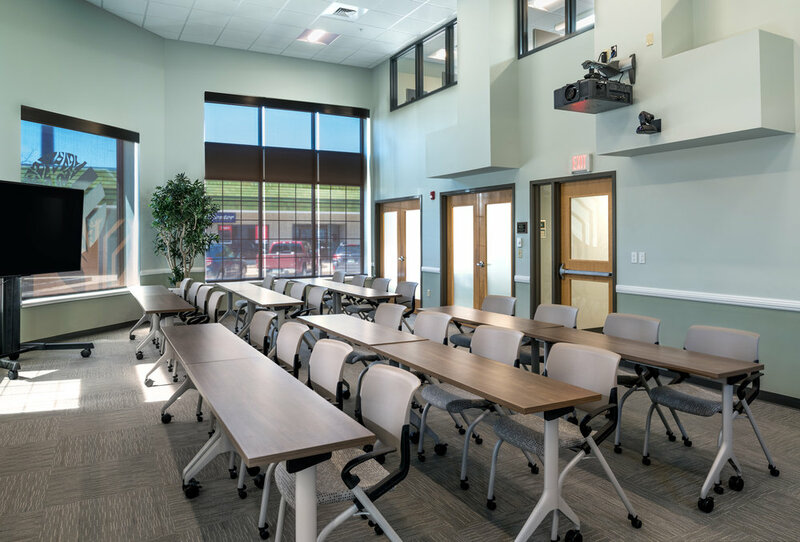 The room accommodates 50+ occupants and has a separate entrance so that events can be held in off hours without participants entering the patient service areas. 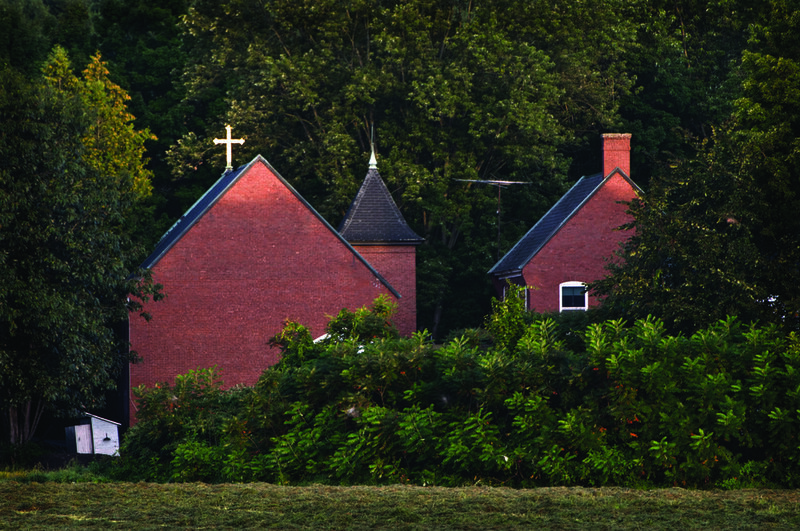 Click on photo above to see a slideshow gallery. This 16,488 SF Timberpeg® post and beam clinic provides orthopedic, physical therapy, rehabilitation, MRI, and X-ray services. 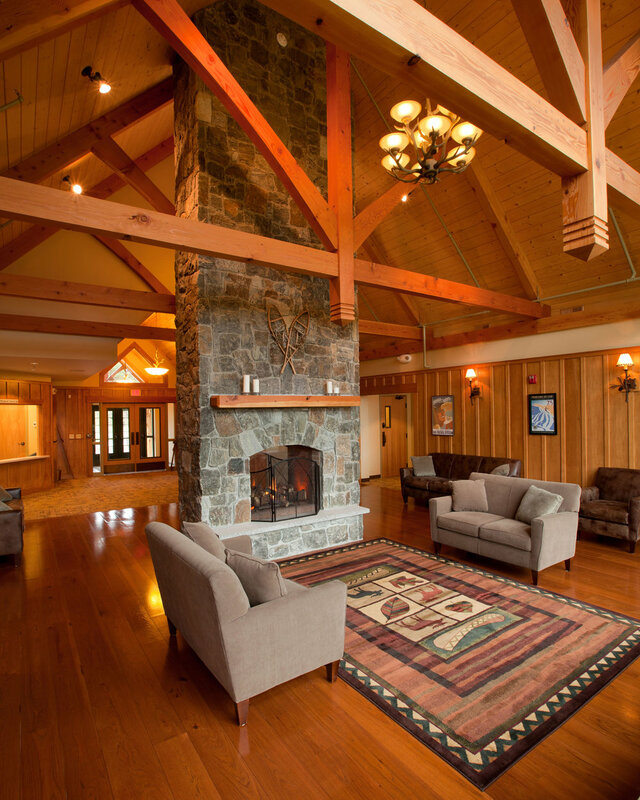 The clinic’s style is reminiscent of a historic New England ski lodge. The design reflects the Client's enthusiasm for sports and the clinic's mountain setting. This aesthetic acts as a soothing non-clinical surprise for athlete and non-athlete patients alike. The facility sits into the slope of a reclaimed gravel pit. This siting allows for full lower-level exposure to daylight and beautiful views of Cannon Mountain Ski Area to the south. It also minimizes the building’s exposure to prevailing winter winds. 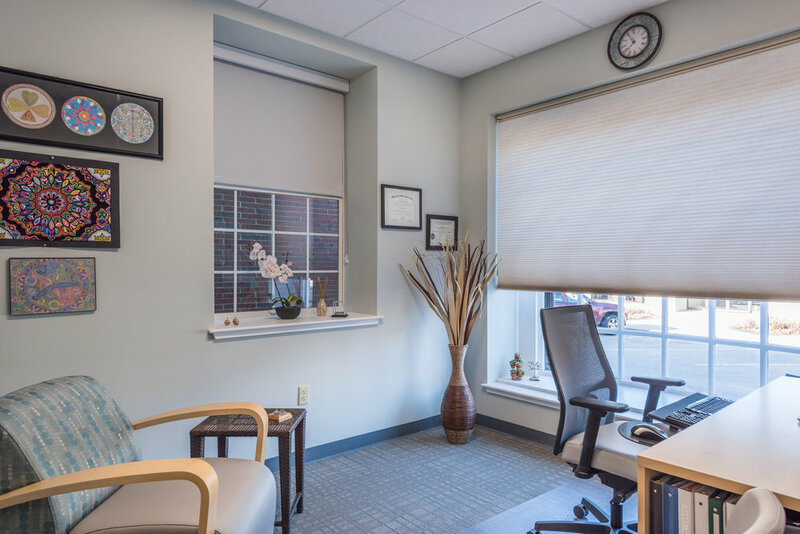 Exterior materials and colors for the clinic were selected to compliment the surrounding area of tall pine trees, boulders, and natural flora. 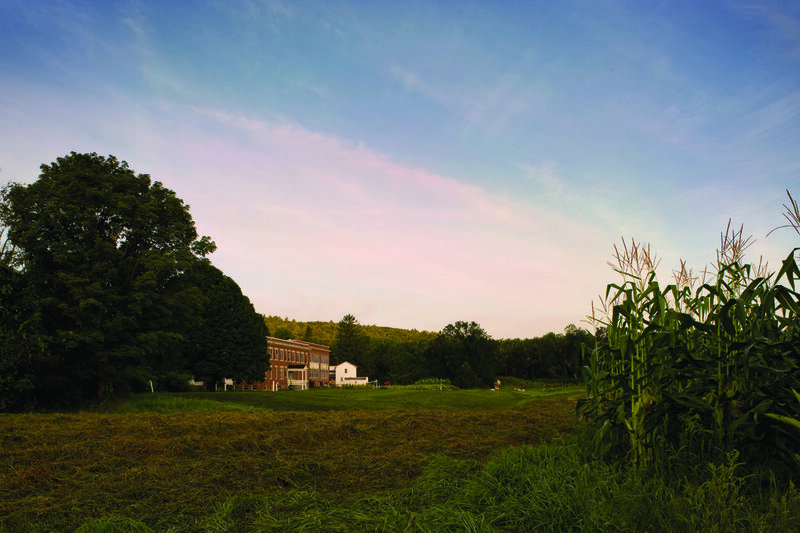 The original, award-winning project involved converting the historic Daniel Webster Farm to an inpatient substance abuse treatment facility. The renovation and rehabilitation design allowed for productive reuse of the buildings without significantly altering their historic character. 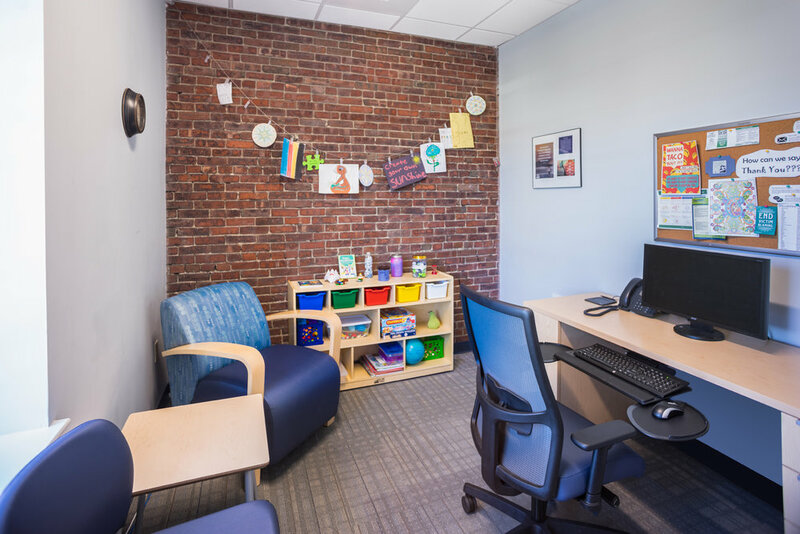 SDA worked with Easter Seals (who now operates Farnum Center on the site) to upgrade Webster Place Recovery Center to meet the requirements for a new licensing status. 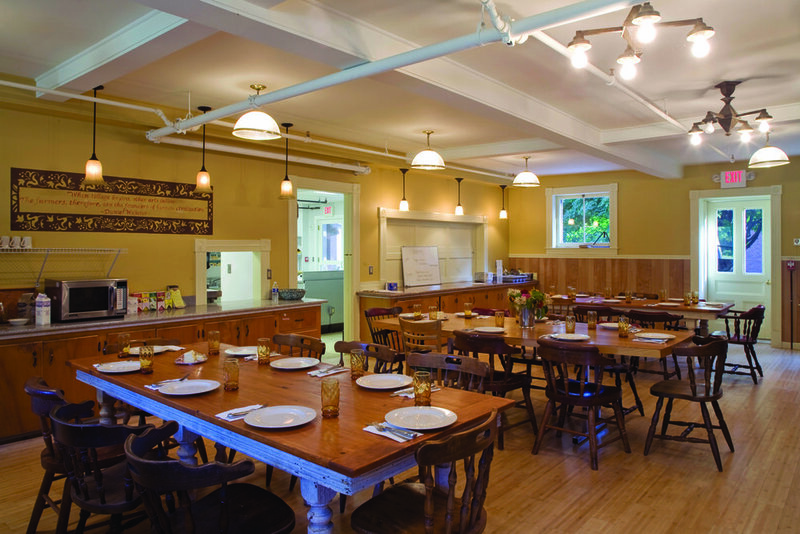 SDA was also commissioned to design renovations for the Farnum Center’s Ray House. 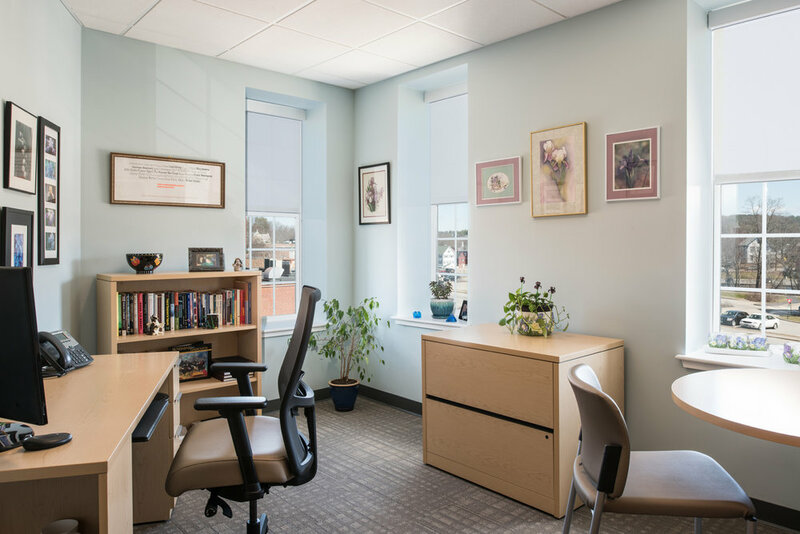 The renovated center provides inpatient facilities for men and women, an expanded capacity for outpatient services, and new space for group meetings and other activities related to treatment and counseling. 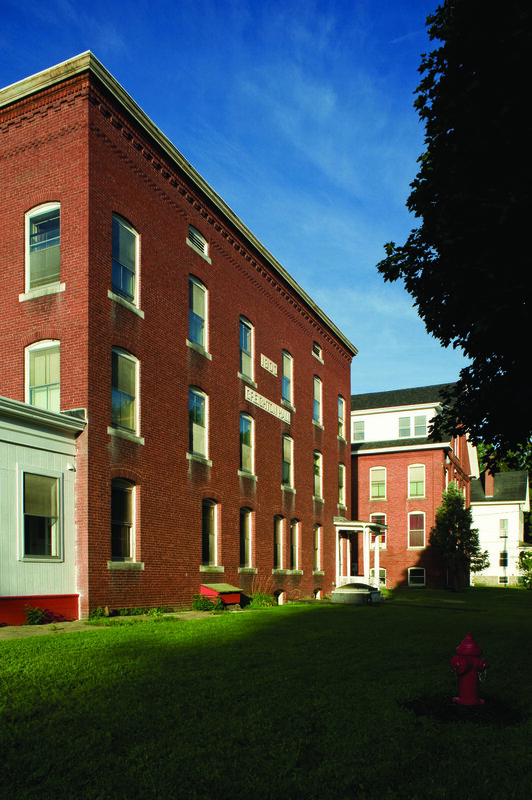 In addition, SDA completed a feasibility study for the renovation and conversion of the Center’s 26,000 SF Henry and Webster buildings into residential treatment dormitories. 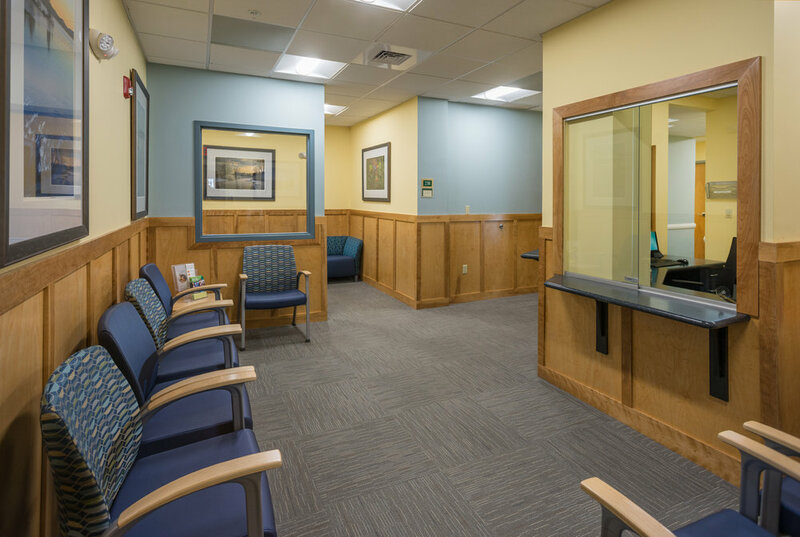 The design for this 15,000 SF facility incorporates stone columns and heavy timbers at the entrances, reflecting the natural features of the surrounding area and the distinct architectural character of the town of Meredith, NH. 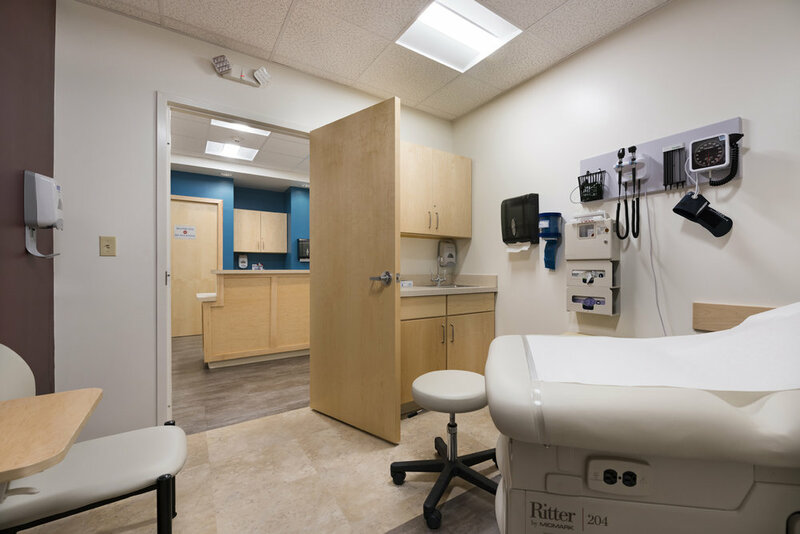 SDA met with providers and staff over the course of several months to determine an optimal interior layout. 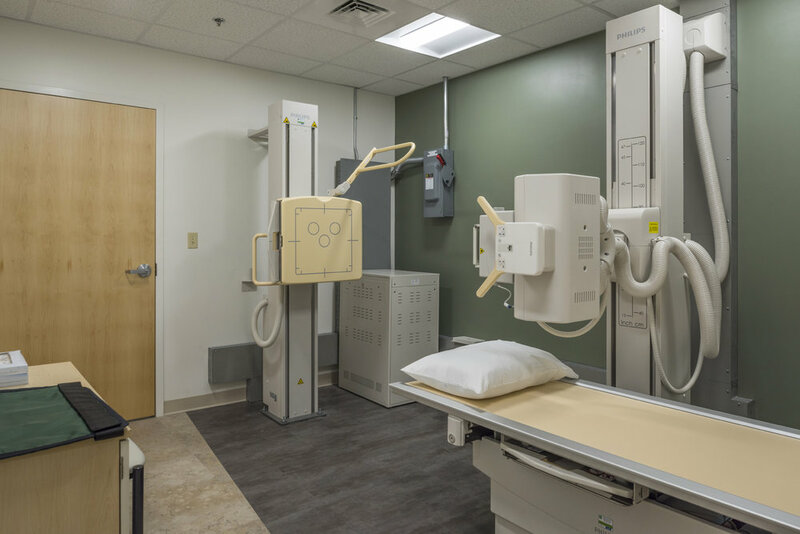 The resulting pod configuration allows easy provider access and discrete flow from reception to nurses’ station to exam room. 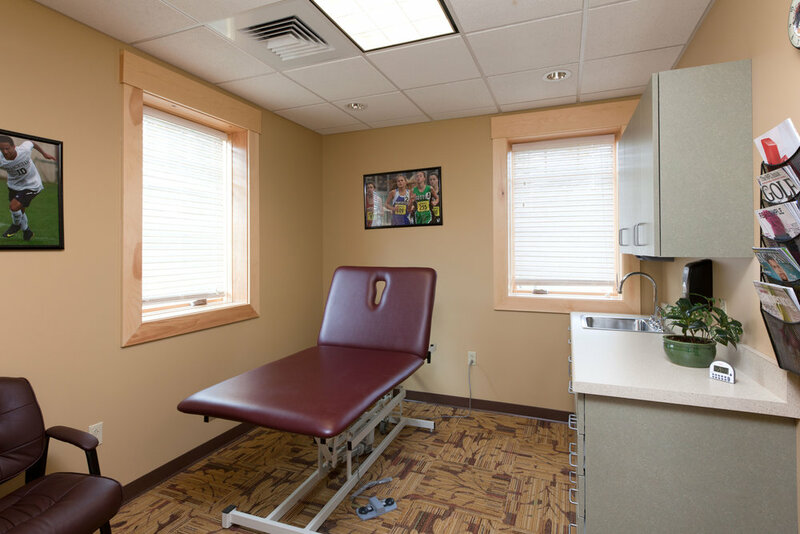 The energy efficient clinic provides medical services on two levels including a phlebotomy lab, X-ray services, and rehabilitation services. 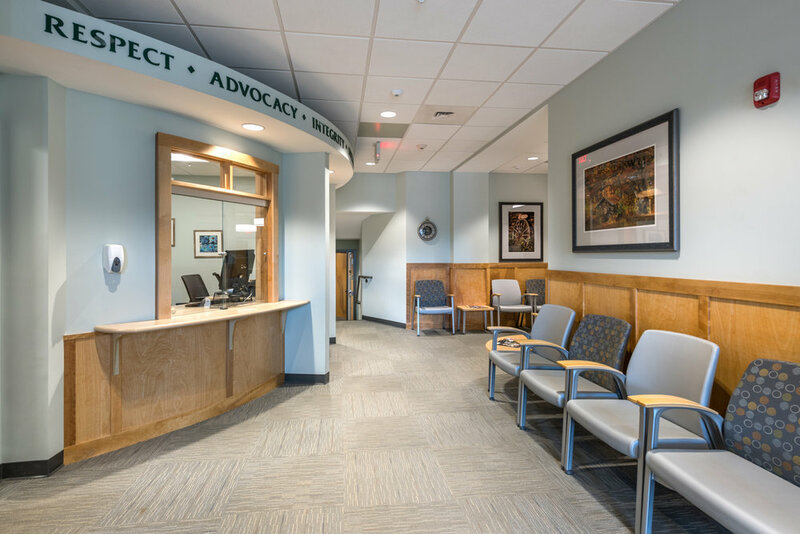 Artwork for the clinic’s interior was solicited from local artists and interior space was set aside to display the artwork of local school children. Neighbors provided input on the location of the exterior lighting in order to minimize light pollution.